Small seat fits children up to 36 inches and 20-40 lbs. 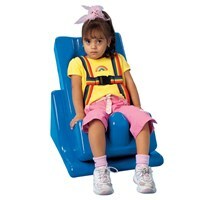 Skillbuilders Floor Sitter System - Feeder Seat and Wedge - Small - The Skillbuilders modular seating system makes it possible to care for a special needs child in a dignified and humane manner. This assistive seating system is designed to accommodate special needs children. 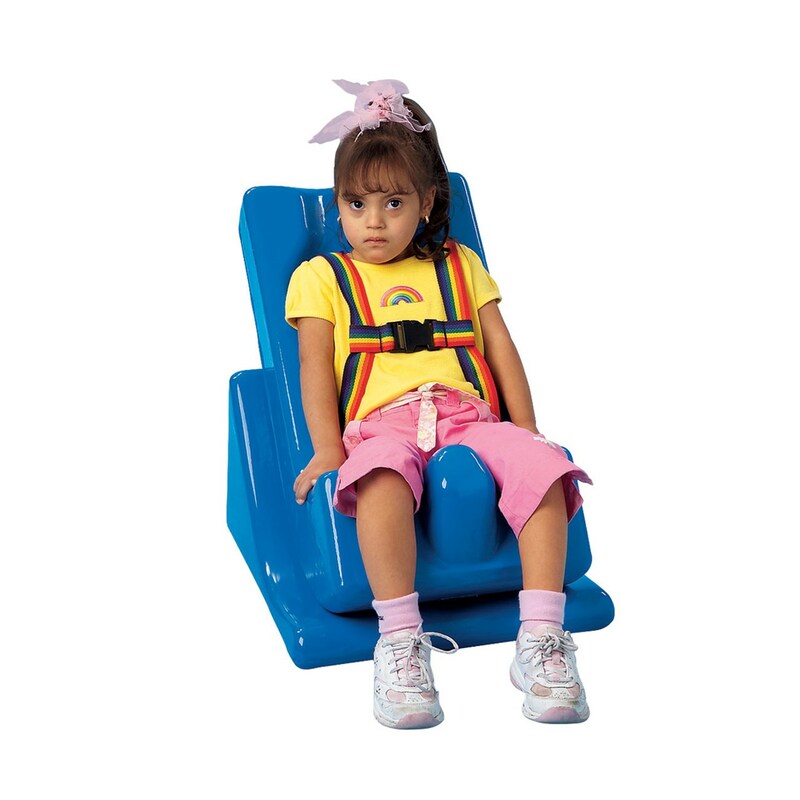 This Skillbuilders wedge and floor seat set brings a sense of dignity to your daily routine. The assistive seat system offers wide, comfortable security straps and a contoured interior, enabling children to recline or sit upright. Skillbuilders modular seating system allows for basic Feeder Seat to transform into floor sitter and mobile floor sitter. Each seat has a built-in abductor, contoured interior for correct seating posture and a safety harness. Seats are made of molded foam that is firm yet soft to the touch, with integral waterproof coating that is easily washed for years of use. Floor sitter set includes seat and floor sitter wedge. Seat is secured to the wedge with Velcro and can be adjusted from upright to reclining position. Small seat fits children up to 36 inches and 20-40 lbs. Weight: 13 lbs.